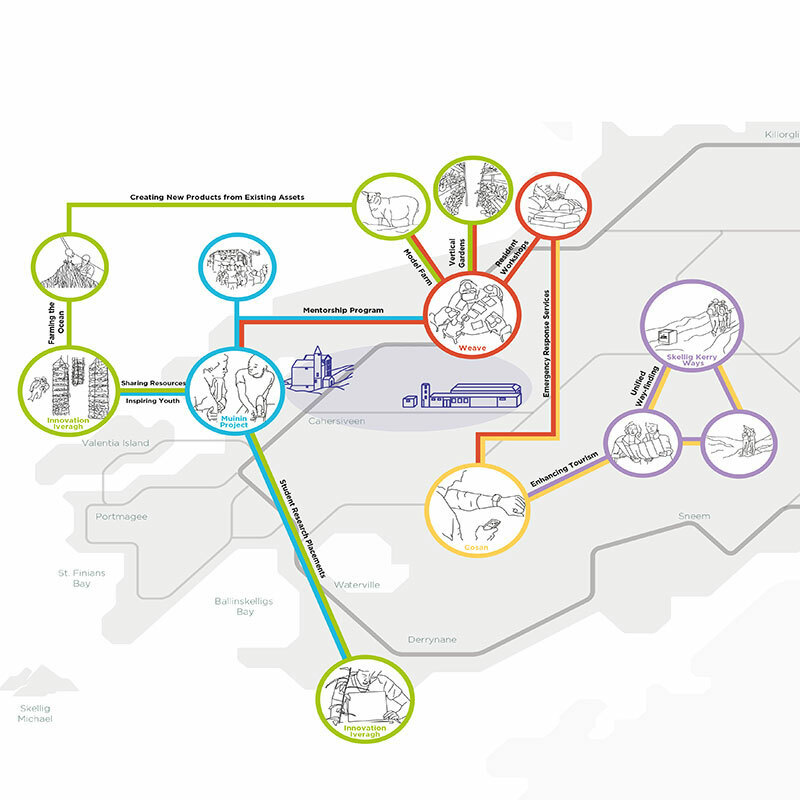 Interstitial Zones was a research and design project aimed at promoting sustainable economic development in the County Kerry region of Ireland. It was the third year of a five-year research trajectory set by the IwB to explore Regional Ecologies, an approach that emphasizes the study of the regional scale of cities and their surrounding areas. Building a definition of ‘interstitial’ as spaces ‘in-between’ and potential future areas of influence and vitality, and working with the local residents, businesses and the Kerry County Council, the IwB student cohort of 2015-16 set out to understand the unique context of County Kerry. 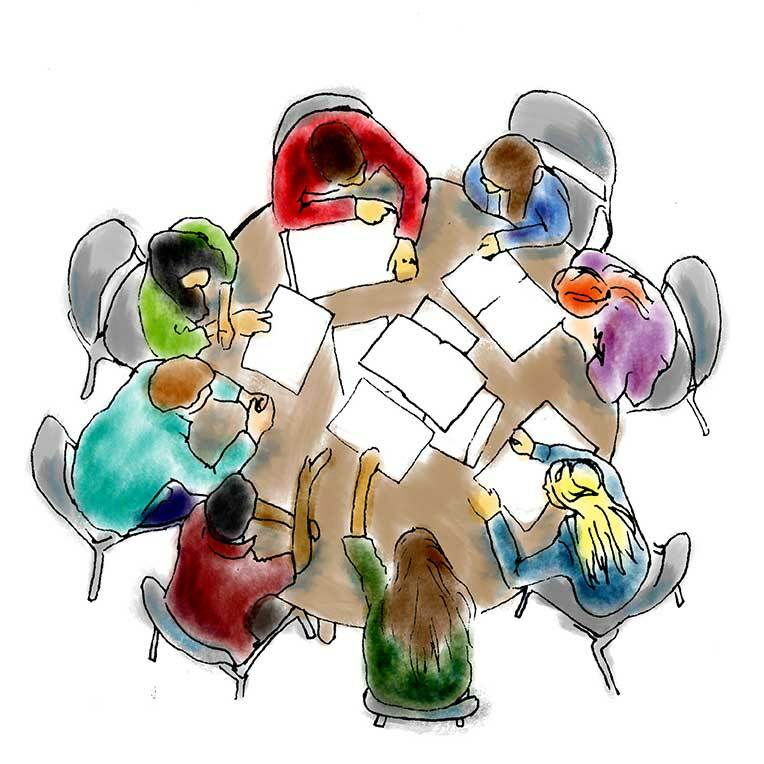 The students conducted intensive fieldwork in Ireland, and facilitated several workshops as well as two major charrettes, the Imagining Iveragh Charrette (held in Ireland) and the Balancing Continuity and Change Charrette (held in Toronto). In just nine months, and through many iterations, the IwB students put together an impressive proposal for County Kerry called “Re-imagining Skellig Kerry.” The students’ proposal is based in 3 key strategies and 5 projects that respond to those strategies, together they are a holistic plan to promote sustainable growth in the region. The Interstitial Zones project focused on analyzing and understanding interstitial zones through case studies, principally the County Kerry region in Ireland. The IwB students aimed to map out what happens in interstitial areas in terms of economic, cultural, and social activities. And then re-think in-between places as active and balanced social and economic areas with a redefined role in a globalized economy. Encouraging sustainable growth by accessing assets, encouraging collaboration and strengthening identity. County Kerry is a small region in the southwest of Ireland. It is a rugged coastal area rich in history and wildlife, but it faces depopulation and problems stimulating and maintaining economic activity. In particular, since the 2008 economic crisis the region has faced difficulty dealing with the side-effects of the crisis, with little potential investors and jobs available. At the same time, the economic situation has in no way changed the region’s potential as a prosperous economic zone, especially in areas like tourism and ecological research. Recently Kerry has been included as part of the new “Wild Atlantic Way” regional branding campaign. But the campaign and developments in Kerry, for instance in the areas of tourism, entrepreneurship, investment in science and technology, have not been even across the County. The IwB students zoomed in on the Iveragh Peninsula (Irish: Uíbh Ráthach), an area in the region that has had less opportunities for development. Focusing in on the Iveragh Peninsula through the typology of an ‘interstitial zone’, the IwB students worked closely with the Kerry County Council and other local stakeholders choosing four major project themes to steer their work: County Kerry as a Destination; Science and Ecology in Kerry; Culture and Heritage in the Kingdom of Kerry; and Innovation and New Industry in Kerry. 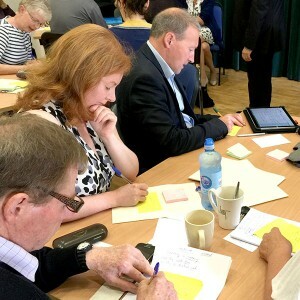 Using these themes the IwB students, faculty and staff explored how to create sustainable growth in Iveragh. 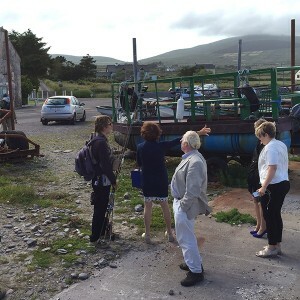 In July 2015, the IwB staff and faculty travelled to County Kerry to meet the project partner and establish the parameters of the partnership for the 2015-2016 project. During this research trip, the IwB ran a one-day workshop on July 2, 2015, asking local stakeholders to come forward and share their vision for the region. The event was a great kick-starter to introduce the client to the IwB methods and to introduce the IwB to the needs of the different people in the region. Simultaneously, it was also a great opportunity for people in the region to start talking about their shared interests and goals. An important and exciting part of the year is the research trip. 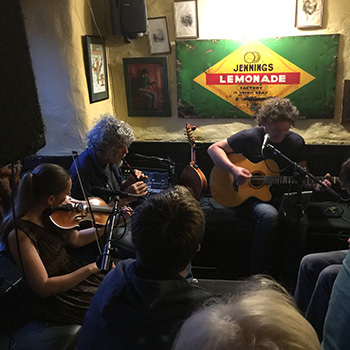 In November 2015, the IwB students, staff, and faculty embedded themselves in County Kerry and explored the region from many different perspectives. This time in the field gave the IwB students the opportunity to collect firsthand research and gain input from local residents and council members. Research opportunities such as interviews, workshops, observation, and other field work experience were planned before the students arrived in Ireland and coordinated with the core project team. An important part of the field research was a 5-day charrette called “Imagining Iveragh Charrette” that was hosted by County Kerry. During this charrette, the IwB students acted as team leaders for a small number of students (approximately 50 students) from the local high school. Post-secondary students from IADT in Dun Laoghaire also participated. 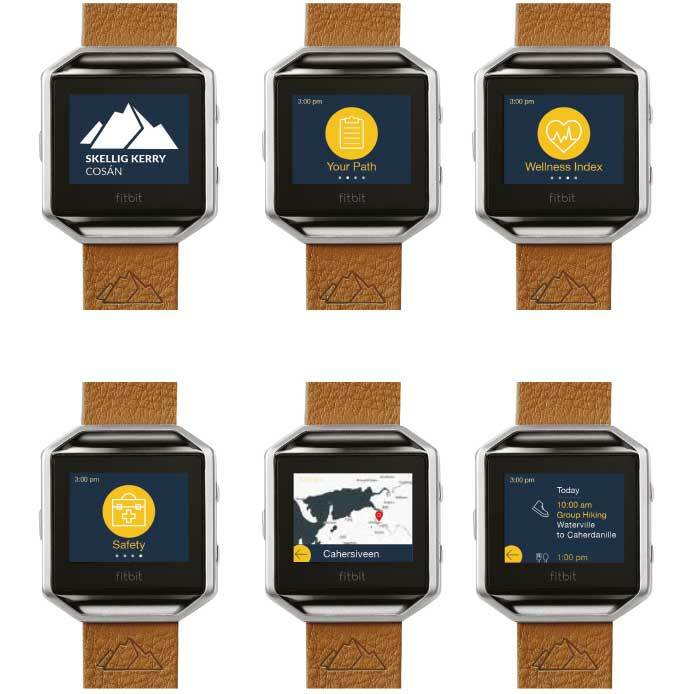 See the project page for the team’s design proposals. The Toronto Design Offsite Festival (TO DO) showcases independent design in Toronto and runs during Toronto’s Design Week. The festival takes place throughout Toronto’s different art and design venues, as well as at the sites of individual organizations. Since 2013, the IwB students, faculty and staff have participated in the TO DO Festival, principally hosting exhibitions at the School of Design Gallery space, at 230 Richmond Street East. In February 2016, the IwB students proposed and executed a special exhibition about the Interstitial Zones project for TO DO 2016. To find out more about past IwB TO DO exhibits see the TO DO Festival page. 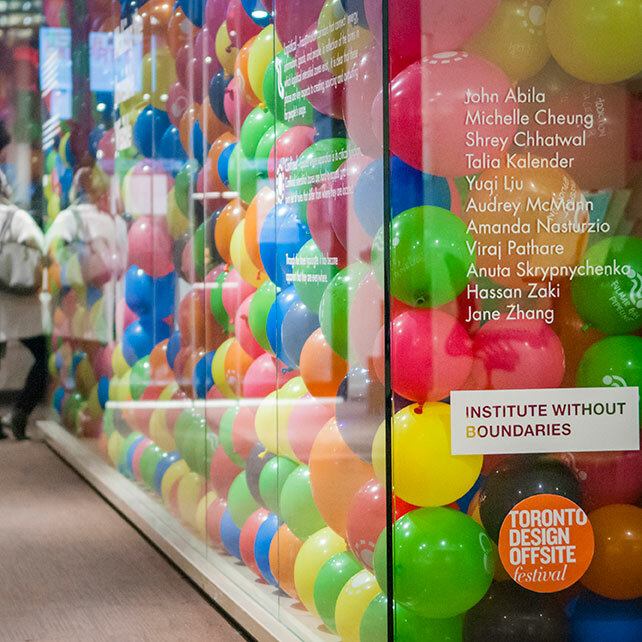 The Toronto International Charrette is an annual IwB event that brings together 200 plus students, faculty and industry experts from organizations around the world. 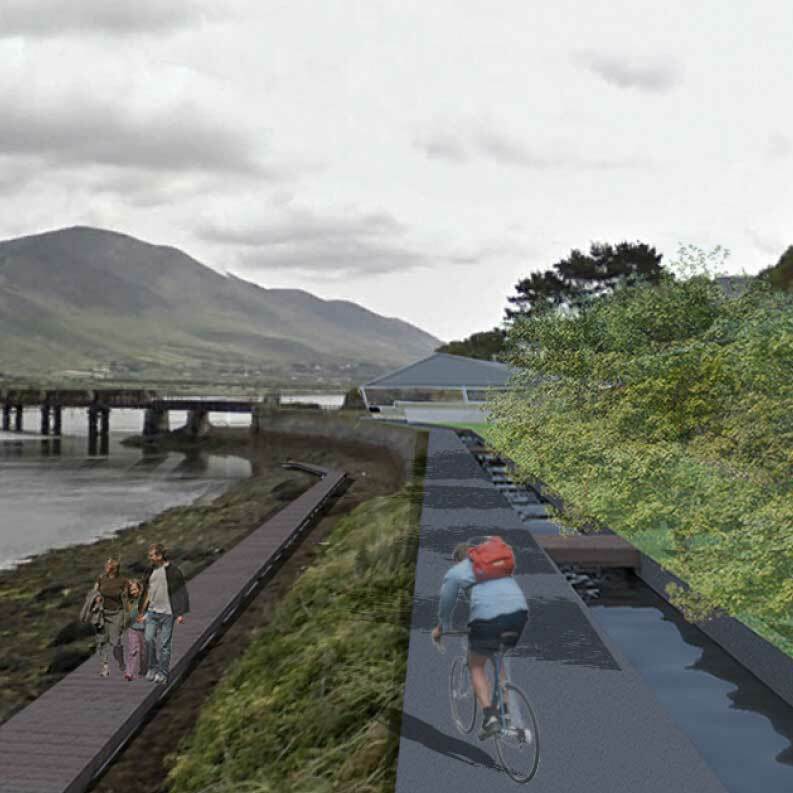 In February 2016, the IwB ran the Balancing Continuity & Change Charrette, which asked participants to design detailed project proposals for sustainable economic development in County Kerry. 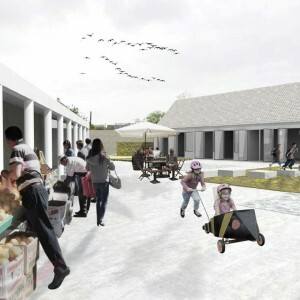 This charrette built on the IwB students’ research, particularly the results of the Imagining Iveragh Charrette, which the IwB students conducted in Ireland in November 2015. Charrette teams were asked to identify ways to leverage the Iveragh Peninsula’s existing assets, and imagine new possibilities for job creation that consider the current and future needs of the local community and region. In May 2016, The IwB students planned and executed parts of their research findings as a final exhibition at the Daniel Spectrum community cultural hub in Toronto. Shortly following, in June 2016, the IwB students presented their final proposal to the project partner, the Kerry County Council. A summary of their proposal is outlined below. The IwB students’ work in County Kerry is extremely relevant when looking at the greater context of rural regions across the globe. Iveragh, like many other small regions, faces lack of connectivity and economic diversity as well as educational opportunities, which makes it vulnerable to unemployment and depopulation. At the same time, the challenges that Iveragh faces are local and specific to the region. Through their fieldwork the students came up with 6 principal insights about Iveragh that focused their final projects: 1) Opportunities for young people are scarce in the region, 2) There is a lack of infrastructure that restricts accessibility, 3) Farming in Iveragh is extremely difficult, 4) The landscape is highly valued but also seen as a barrier, 5) Tourism is seasonal and unsustainable, and 6) There is vast untapped potential in the region. With these insights the students developed a strategy for sustainable growth in the Iveragh Peninsula based on three principles: Accessing Assets, Encouraging Collaboration and Strengthening Identity. Throughout 2015-16, the cohort conducted ongoing research, workshops and meetings with the stakeholders as well as exhibitions to gain feedback on their work. 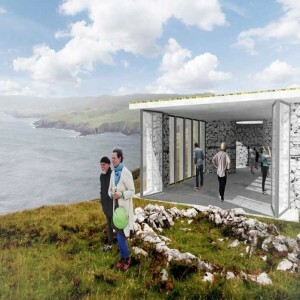 All of their efforts led to 6 design proposals–Weave, Skellig Kerry, Innovation Iveragh, Cosan and Munin (summaries of projects to the right). In June 2016, the IwB students presented their final proposal to the client, County Kerry Council. It is our hope that the excellent work of our students in County Kerry will help local stakeholders move forward with their goals. View the students’ final presentation here. Stay tuned for more developments of this project & the Re-Imaging Iveragh book! Weave is a space that fosters collaboration, community building, and an entrepreneurial spirit in the Skellig Kerry region. Located in Cahersiveen, Weave is a catalyst for the area, turning it into the cultural hub of the region. It will offer public and private space for collaboration, events, and will bring community and businesses together by offering workshops, resources, support for entrepreneurs, and work space. Weave will encourage entrepreneurs, students, community advocates, scientists, artists and researchers to come together and create new initiatives and businesses. One such initiative housed inside Weave will be the living lab and incubator, Innovation Iveragh. There will also be a range of opportunities for youth to get involved and gain working experience through internships and The Muinín Project. Skellig Kerry Ways is a visual communication project that highlights walking, cycling and kayaking routes in the Skellig Kerry region, establishing the area as a unique destination for active outdoor tourism. The project’s focus is on bringing sustainable growth to the region by activating natural, cultural and historical assets in the area that will help build a sense of place, and create an engaging memorable experience for the visitor. 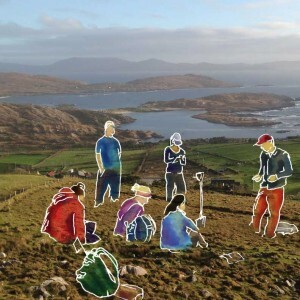 While visitors are hiking the Iveragh Uplands, cycling the Kerry Way or even dining at the amazing restaurants in the region– they can be connected to their own tour guide of the region. Cosan is a guide that helps them track their health, keeps them safe, and shares all the local knowledge of the region. 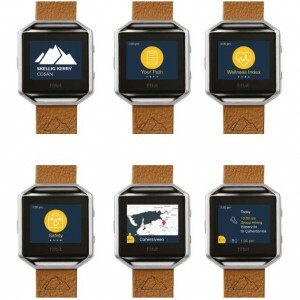 Cosan will create an enhanced tourist experience by creating a bracelet that allows visitors to live their best lives as they travel around the peninsula. Innovation Iveragh will establish the region as an outward looking incubator for new industry by creating the perfect environment for transformative experiments. Innovation Iveragh, located in Weave, will launch an enterprise environment which encourages purposeful visitors to bring their transformative projects, innovative ideas, to experiment, to collaborate with local experts or come to prototype and launch unique projects. Moreover, Innovation Iveragh will establish a regional gateway for investors looking to incubate and launch new regional industries. 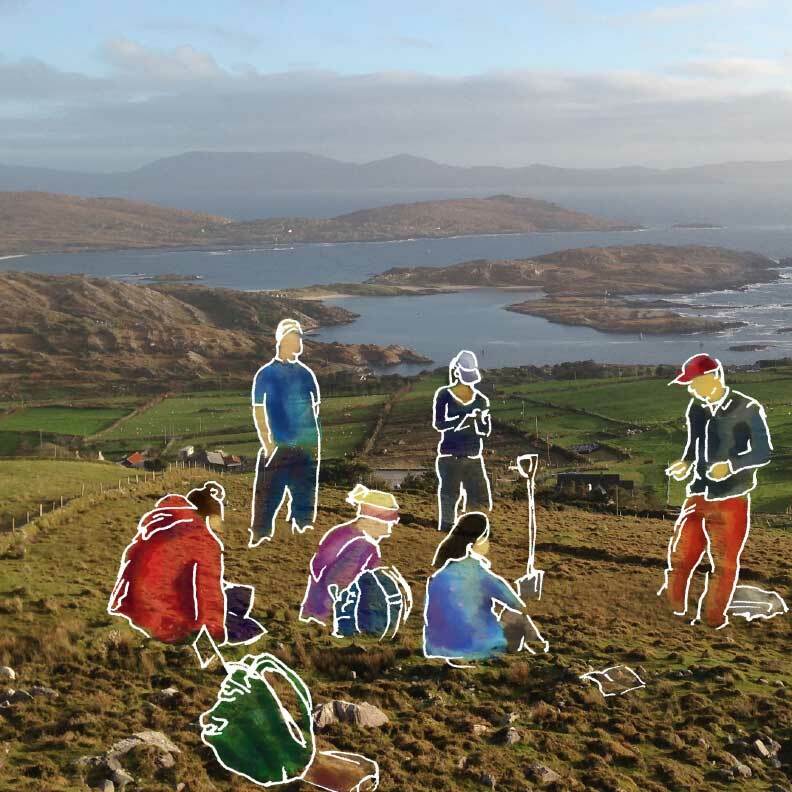 The Muinín Project is a catalyst for students in the region to build a resilient future by connecting them to the many assets of Skellig Kerry. The Muinín Project will empower youth through a new transformative experiential Transition Year. The program will: encourage self development, strengthen individual and team working skills, and provide mentorship opportunities. It also connects the youth with the region, getting students to learn outside of the classroom, allows for teachers to develop their practice, and creates partnerships with local residents. To all local participants of this project as well as our international educational partners, you have helped to make a very unique project take place.